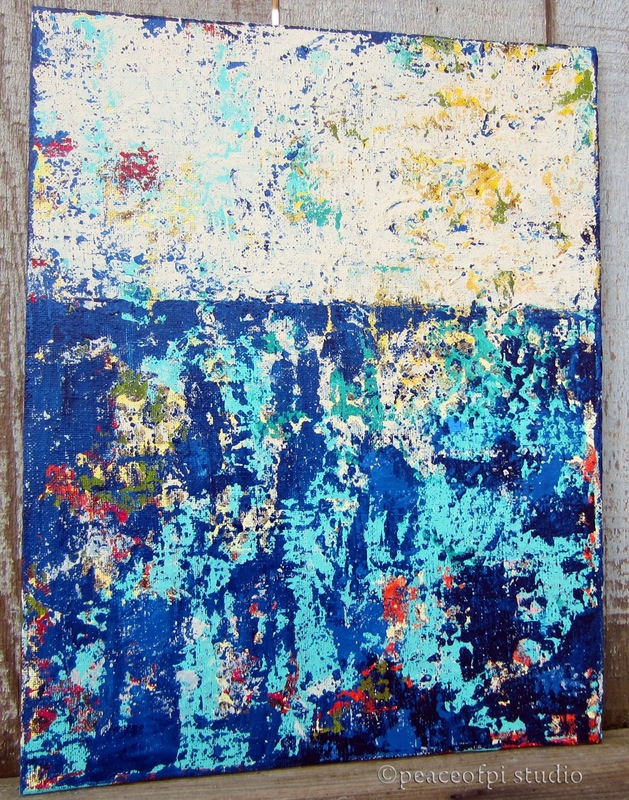 Marina is an abstract painting inspired by the winter ocean. The layers of color and texture speak to the vast life under the surface of the water, both plant and animal. Created in acrylic on canvas, the painting in shades of blue is 11 X 14 inches.